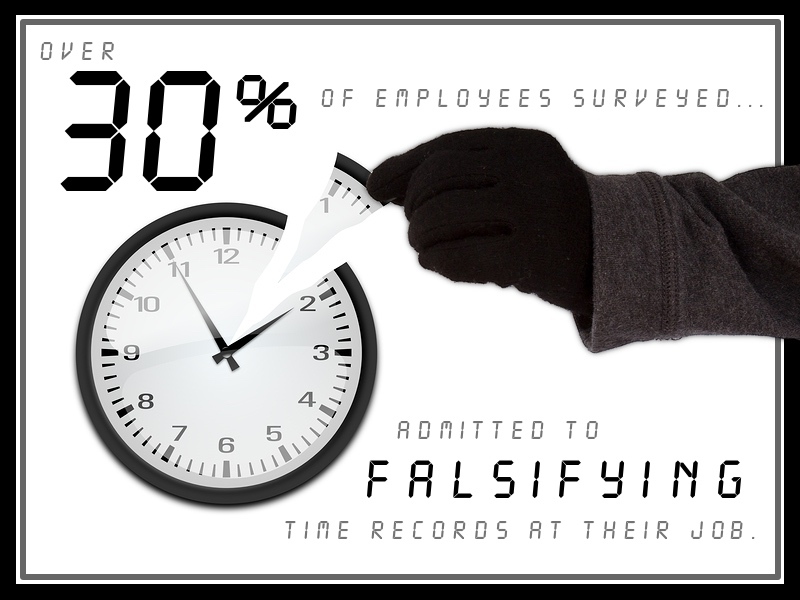 According to an anonymous survey conducted by Kessler International of 500 employees laboring in various retail and service industries, over 30% confess to falsifying at their position. What are the most common ways staff members misrepresent hours on ? These three forms of employee time and attendance fraud account for an average of 4.5 hours per week, per employee, of unrealized time being documented. In a business with 5 employees, each earning a wage of $10 per hour, this can bring about over $11,000 in overpaid payroll, which is lost income for your organization. Advantage Payroll Services can help you avoid this widespread scam with TimeWorksTouch and PunchLogic; a new system that helps you keep more precise records of worker time, and helps you avert the costs of early, late, and buddy punching. We invite you to contact us at (800) 440-9033 and we’ll show you how TimeWorksTouch can pay for itself in just a few pay periods.